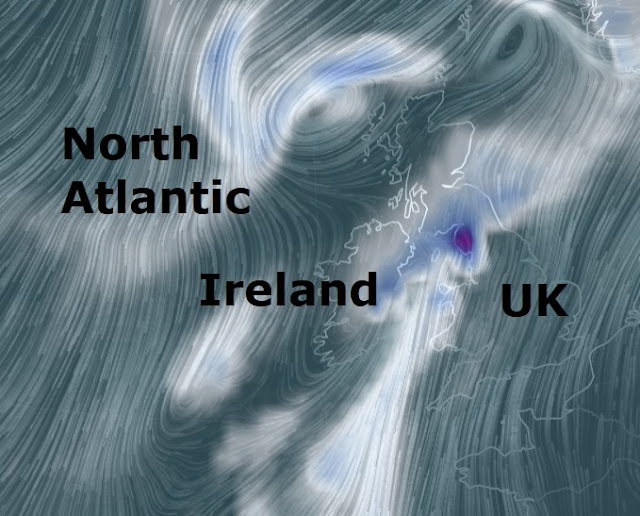 Black Wednesday for the UK, weather warnings have been issued today as storm Caroline is expected to dump a month's worth of rain, 50mph wind and 5cm of snow today. If named storm Caroline will be the third named storm of the season and is expected to batter the islands well into Thursday. Peak wind gusts around 50 mph will be across much of England and Wales with gusts towards 75 mph across western and southern coastal and higher terrain locations. Heavy snow is forecast for Scotland with up to five centimetres of snow predicted by the Met Office. And some part of the UK is on flood warning with up to a month's worth of rain to hit in the next 24 hours. Meteorologist Alex Deakin said: “The risk of some snow likely across parts of northern Scotland, initially over hills but coming down to lower levels. That rain could cause some problems as it builds up through the day 25 to 50 millimetres of rain in some places. Maybe over the hills as much as 100 millimetres of rain, that could cause some flooding problems.